In theory the economy exists to support society and enhance human well-being. It is the system within a society where limited resources (land, labour and capital) are managed fairly and sustainably. Economy literally means “household management” and comes from the Greek words oikos, meaning “house” and nomos which means “custom” or “law”. Economics is the social science that studies the factors which determine the production, distribution and consumption of goods and services. The ultimate goal of economics is to improve the living conditions of people in their everyday life. The economy cannot be separated from society, it is an integral part of it, but the fact that the economy is just one part of a society has been largely forgotten. The economy and economic thinking should not drive society but rather, support society in it’s aims. 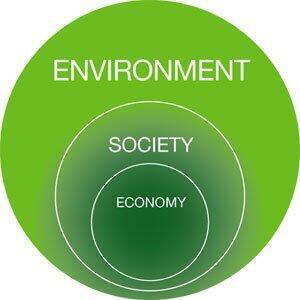 In turn human society should support the environment which it is part of. Economics has not valued natural capital properly, if at all. Natural capital are the natural resources that humans need to meet their fundamental needs; they are things like fresh water, soil, fisheries, forests, air, etc. Since the beginning of the industrial revolution human economies everywhere have spent our natural capital as if was income. 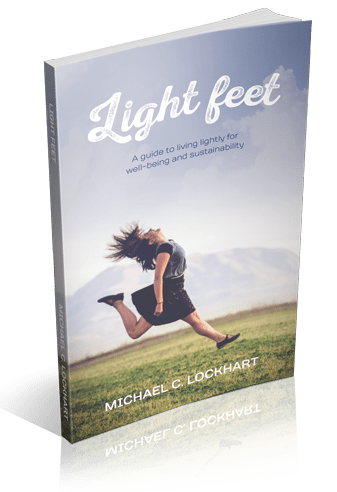 Humanity, particularly the rich industrial part of humanity, has done irreparable damage to the environment removing resources that can never be replaced. The constant drive for economic growth is only partly connected to population growth and increases in standard of living. In most countries in the developed world the economy is more than big enough to provide a high standard of living and well-being for everyone. Once an economy has reached a certain size (measured in GDP per capita) any further growth is not only unnecessary, it is also damaging. Considering the fact that developed economies continue to grow, continue to harm the environment and continue to not increase the well-being of people what is to be done?